This Corfu shore trip focuses on beautiful views from several vantage points, allowing you to see the natural beauty of the most lush of the Greek islands. Travel along the scenic West Coast to the hill top village of Lakones or Bella Vista as it is known. Enjoy spectacular views over the famous Bay of Paleokastritsa. 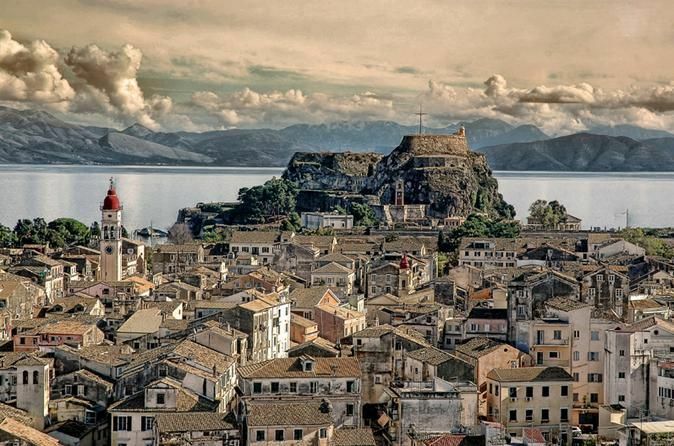 Spend some time in Corfu town, before returning to your ship. After meeting your private driver will start a panoramic tour of Corfu, which is different than most Greek islands because it is very lush and richly endowed by nature. Discover the natural beauty and stunning panoramas of Corfu on a scenic drive. See traditional villages such as Makrates, and Skripero. Take in the beauty from lookout points over Paleokastritsa Bay, and Kanoni. Spend some time in Old Town Corfu, and enjoy the unique ambience, before being dropped off at your ship. You can decide to stay on the Esplanade and return to the pier or your own.